After you complete any Ethics-LX simulation you will gain access to an online debrief. After you close the simulation window and return to your simulation home page where you launched the simulation you should see that the launch icon has changed to a view icon. This allows you to view the simulation again, but not change any answers. 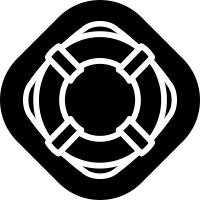 To the right of this icon you will see an icon to launch the debrief. Selecting this icon will take you to the debrief. Click on the refresh screen button in your browswer. Select one of the tabs on the left, for example "Reports", then come back to the "Home" tab. You also should confirm you have completed the simulation through to the final screen (there will be no more options to move to the next screen) before you close the simulation. If you have confirmed this, and completed the steps above, we recommend that you log out of our site, clear your history, go back to our home page and log back in and try again. If you are still experiencing an issue please contact us with information about the system you are using, including your operating system, browser and Internet speed (see also our system requirements posting).